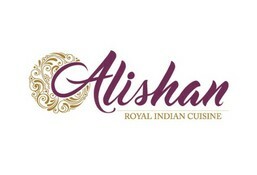 Alishan Restaurant is currently closed for delivery and it will open at 11:00 AM today . Mutton cooked in dum-pukht style delicious and packed with flavours. Chef's recommendation! Chef's spiced morsels of chicken cooked in tandoor. A classic! Chicken drumsticks marinated with medium spiced masala cooked in olive oil.Chef's recommendation! Chinese style chicken marinated with medium spiced masala cooked in tandoor. Chef's recommendation!